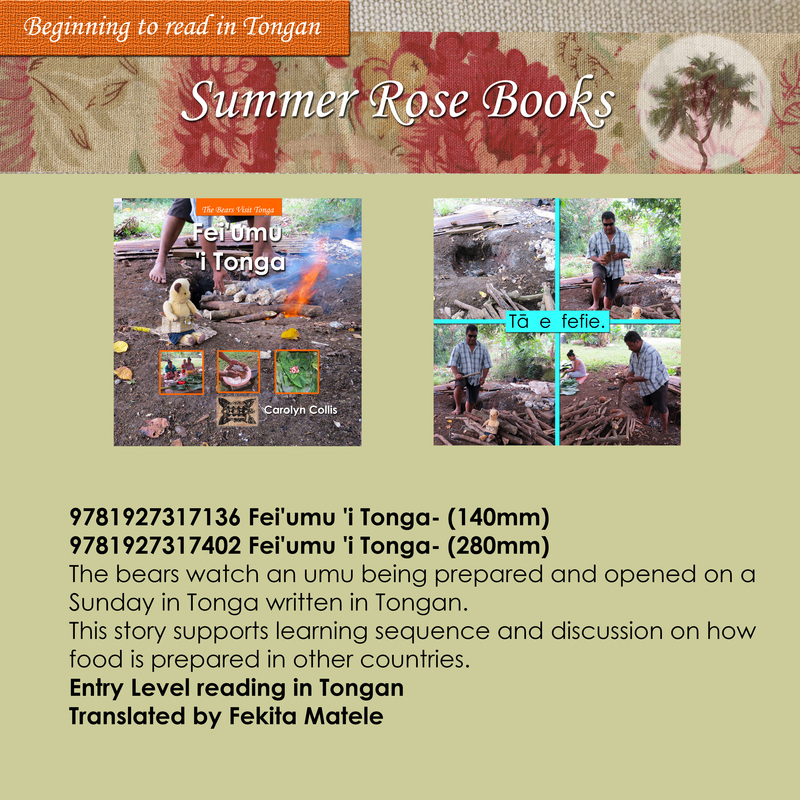 The bears watch an umu being prepared and opened on a Sunday in Tonga written in Tongan. This story supports learning sequence and discussion on how food is prepared in other countries. 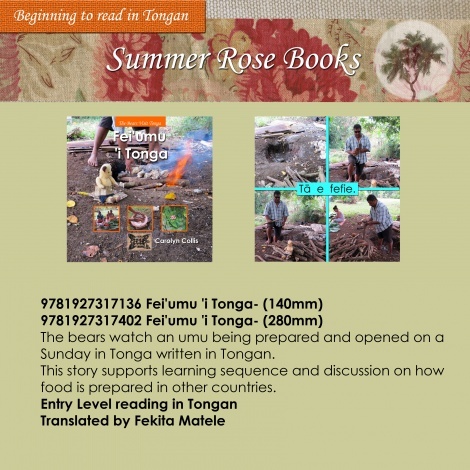 This series provides a fun way for children to learn the Tongan language, build reading confidence and improve general knowledge.